Ready for part II of Vogue Vignette’s ‘Illustrated History of Fashion’ Series? Last year focused on the futuristic fashion of the ‘60’s Mod Movement. This year, we transition to the rise of the Hippie and Psychedelia Happening. We’ll learn about the art, music, culture and politics that inspired one of the most notable periods in America’s fashion history. 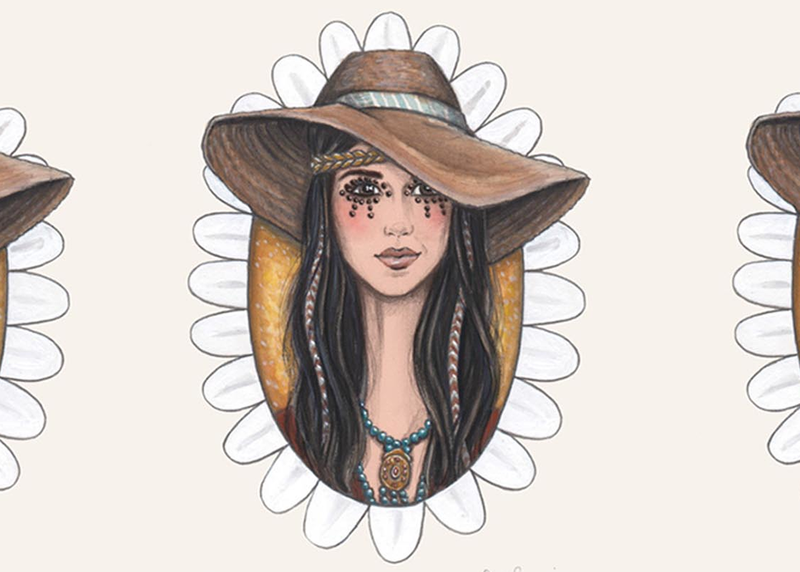 Once inspiration vibes are flowing, Fashion Artist, Stephanie Jimenez Schiller will teach you the ins and outs of sketching your own Hippie inspired Paper Doll. From bell bottoms to flower crowns, the simple to follow Live Tutorials make it a breeze for all skill levels to sketch along. So put on your best hippie inspired outfit and get ready to sketch, design and learn how Fashion is intertwined with the era it shares space with.